I made it through my Christmas Eve/Christmas Day eating extravaganza with only a two pound gain. Now, we're on our way to Texas. Texas trips can be big food fiascoes. But they don't have to be. My most out-of-control Texas behavior includes packing massive amounts of Jennyland road food - including bags of popcorn (my favorite is teasingly called "Smart Food"), cans of spicy hot bean dip (which I have been known to eat with my fingers), Reese's Peanut Butter Cups, Chex Mix, Corn Nuts, and Diet Coke. This trip, our car is packed with sugar snap peas, ham sandwiches (that we already ate), carrots, broccoli, hummus, oranges, apples, cheese, and Diet Coke. I've learned (and try to remember) that, once I've eaten and my tummy is full, it doesn't matter if I've filled it with calorie-laden food or healthy food. My tummy doesn't know the difference between cheesy Mexican food and cauliflower. If it's satisfied, it's satisfied. I've especially learned this about my craving for spiciness. After living in northern New Mexico for 28 years, I am addicted to green chili. And red chili. And jalapenos. And salsa. But my tummy doesn't know if the spicy satisfaction comes from green chili on top of sour cream chicken enchiladas or from salsa eaten with a spoon. This is such a good lesson for me because it means that I can satisfy my cravings without stuffing myself with a million calories. It also teaches me that WHAT I eat isn't what gives me satisfaction as much as the fact that I've eaten. Hmmmm.... As I write that, I realize that it points to emotional eating. It's not my taste buds that I need to satisfy. It's having the sense of well-being that comes from having a full tummy. I know that, to truly recover from being a compulsive over-eater, I need to address the emotional needs that I feed. 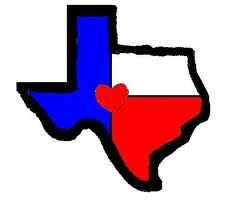 But right now, my focus is getting through a week-long Texas trip without falling into old "Texas-trip" behaviors. Stuffing the car with crap food isn't my only out-of-control Texas behavior. When I go to Lubbock, the city where I grew up, I usually entertain myself by going to my favorite food haunts. Furr's Cafeteria, 50th Street Caboose, El Chico's, Abuelo's, Taco Villa, Bahama Bucks, Sheridan's Ice Cream, Orlando's........ I usually have to drag whoever I'm with to all of them! Nina and I are just spending one night in Lubbock on our way to Munday and we're getting off so late that I probably won't even be able to go out to eat there. That makes it so much safer. After a very impulsive spontaneous afternoon with many furrowed eyebrows and "MOM, YOU'RE DRIVING ME CRAZY!" statements, we have ended up spending the night in Clovis, New Mexico. 3:00 - spontaneously decide to not spend the night in Lubbock and spend the night in Amarillo instead! Right now, we're eating Subway in the hotel room and are about to hang out at the hot tub. 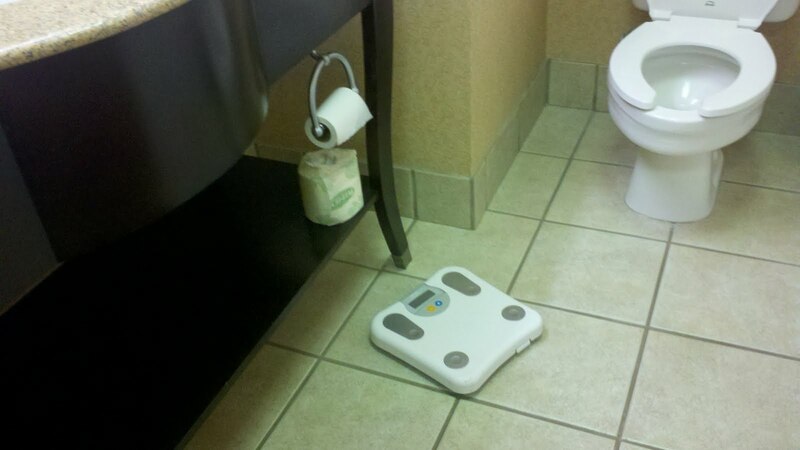 I have packed my scale. I've gotten into the habit of weighing every day. If I don't weigh, I feel like I'm closing my eyes to reality. 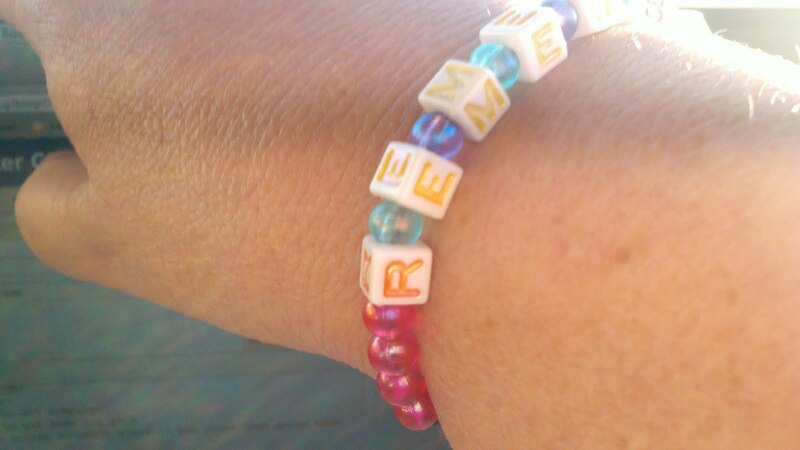 And, I'm wearing my dorky REMEMBER bracelet that I made so I wouldn't have to write the word on my hand with a Sharpie again. I'm prepared to stay conscious and vigilant in Texas. OMG that popcorn get me everytime. You think you can have a serving and put it away but I need to finish the bag once I start it. Sounds like it's going to be an interesting trip lol. Hope you didin't forget anything else. Guess and Rachelle, thanks for the comments! Rachelle, I didn't even miss Smart Food on this trip until tonight, when I looked up the image for my blog! Then I could feel my mouth watering for it! Guess, I have cut out soooo much Diet Coke because I figured out that the sodium was raising my blood pressure. But, I can't get into the lemon water or the tea without sweet and low. I'm trying hard to learn to drink water but find myself drinking stuff with aspartame all day - Crystal Light, tea with Sweet and Low, etc. I know that stuff is as bad as the sodium. great job! man, that white cheddar popcorn is awesome. I have issues with popcorn so I try not to keep it in the house....Glad all is well in your world. Enjoy your trip! Road trip food is something I also need to modify. Thanks for the new and improved list. My old faithful was always a tabasco slim jim (don't ask me why, I almost never eat them any other time!). Safe travels!